Rosie Clarke was born in Swindon. Her family moved to Cambridgeshire when she was nine, but she left at the age of fifteen to work as a hairdresser in her father’s business. She was married at eighteen and ran her own hairdressing business for some years. Rosie loves to write and has penned over one hundred novels under different pseudonyms. She writes about the beauty of nature and sometimes puts a little into her books, though they are mostly about love and romance. 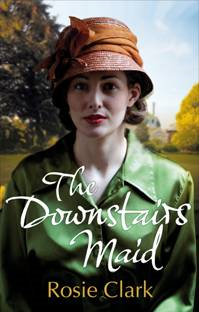 Her new saga A Downstairs Maid will be published by Ebury.